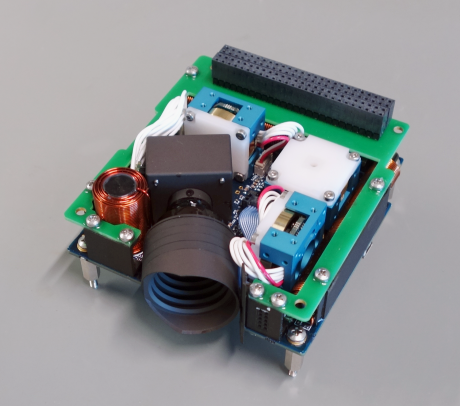 The iADCS-100 is designed as an autonomous ADCS solution in full compliance to the Cubesat Standard as it resembles a stack of two PC-104 boards. The iADCS consists of Star Tracker (1), Gyro Module (3), Reaction Wheel (3), Magnetorquer (3) and the ability to integrate other external sensors such as sun sensors. It incorporates the ADCS algorithms from the LEOS platform and allows full ADCS functionality including nadir pointing as well as autonomous target acquisition and tracking. It is a joint development with our partner Hyperion B.V.